Kundalini Yoga Teacher Training in the spirit of Senior Lead Trainer Guru Dass teachings. As more people search to find spiritual meaning in their lives, the role of the Kundalini Yoga teacher takes on increasing importance. This team of Teacher Trainers, lead by Senior Lead Trainer Guru Dass will guide you in how to awaken and develop the teacher within you. They will lead you through this program with inspirational and challenging lectures, and kriyas and meditations that will confront your self-imposed limits. You will discover how to live and teach from your highest and purest consciousness. A: Check with www.whitetantricyoga.com - there are courses in Europe. In Stockholm there is a course in February of every year. ​A: You can take White Tantric Yoga from October 2016 to October 2019. Taking White Tantric Yoga prior to the start of the course will NOT count toward your requirement for the course. A: Please contact us by email to info@kundaliniyogasweden.com. A: All students earning a Level One KRI certificate will receive an electronic .pdf file of their certificate from International College of Kundalini Yoga. We will send a printed certificate via mail. International College of Kundalini Yoga is not responsible for lost or damaged certificates, and will only send certificates via Posten. 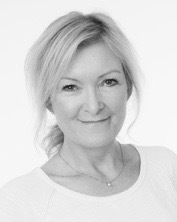 The only KRI approved teacher training course in Gothenburg! KRI (Kundalini Research Institute) is the official international training organization that promotes the teachings of Yogi Bhajan and oversees teacher training programs in 52 countries, graduating over 3000 new Kundalini Yoga teachers annually. The Level One KRI Aquarian Teacher Training Program consists of a 220 hour program (180 hours in class; 40 home practice). 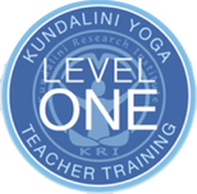 Graduates of Level One earn the title of KRI Certified Instructor of Kundalini Yoga as taught by Yogi Bhajan®, are registered with the International Kundalini Yoga Teachers Association (IKYTA) and fulfill the Yoga Alliance RYT (Registered Yoga Teacher) 200-hour requirement. The primary regulatory body for Kundalini Yoga teachers is IKYTA, not Yoga Alliance. 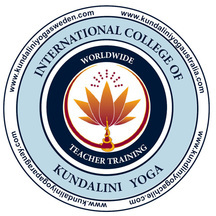 Our course is also recognized by SKY - Swedish Kundalini Yoga Teachers Association (Sveriges Kundalini Yoga Lärares Riksförbund).